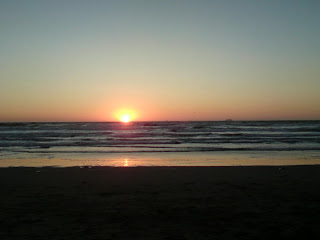 Picture from Ocean Beach on Saturday. Nothing particularly spectacular today, except that my new laptop shipped! It should be here by Friday before Marie and I leave to go back to SCV for the weekend...I hope... Other than that, day as normal...classes, work, and drop-in hours. Nothing special, quiet start to the week. This is how atlantis was lost. Don't Step on the Ant Chair! How insanely cool is this!? I thought Seinfeld ended years ago? Lookit me! I'm on the screen!